It's no secret that plenty of pets struggle to deal with separation anxiety when their owners leave them at home for the day. 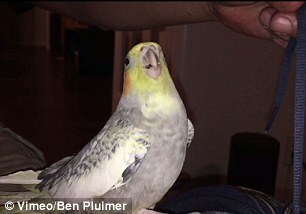 Some pets cry, paw, or give their best puppy eyes to try and persuade their humans not to leave, but one cockatiel's tactic is to impersonate one of its owner's favorite things: his cell phone. 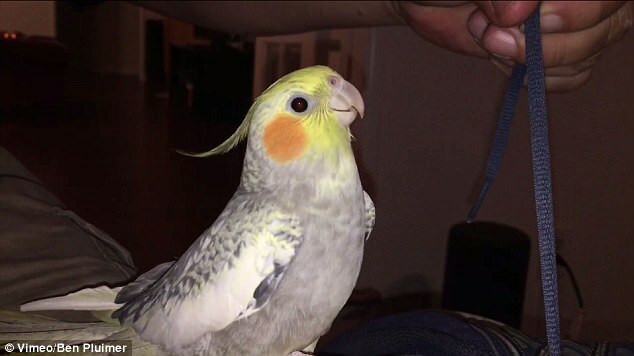 In a new viral video, an adorable bird named Lucky reacts to his owner Mike McCafferty getting ready to leave by singing a note-for-note rendition of the IPhone ringtone. 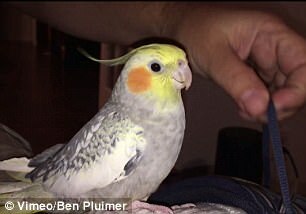 The clip, filmed by Los Angeles Vimeo user and TV director Ben Pluimer, shows the little bird perched on his owner's khaki pants. The man is laying his other leg across the thigh the bird is sitting on and trying to tie his shoes while the grey and yellow bird looks on with concern. Lucky then begins to play a song familiar to all iPhone owners: the standard ringtone included with each of the Apple phones. The strikingly electronic sounding song continues as Lucky fidgets in his owners lap, lifting his head to watch the shoelaces move. 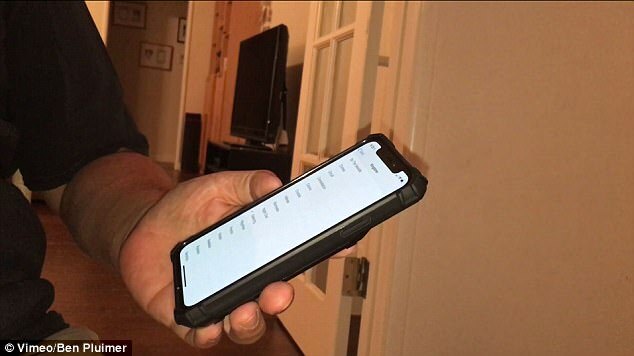 Ben later shared the video online, including on Reddit where it proved an instant hit, eventually gaining more than 87,000 upvotes. 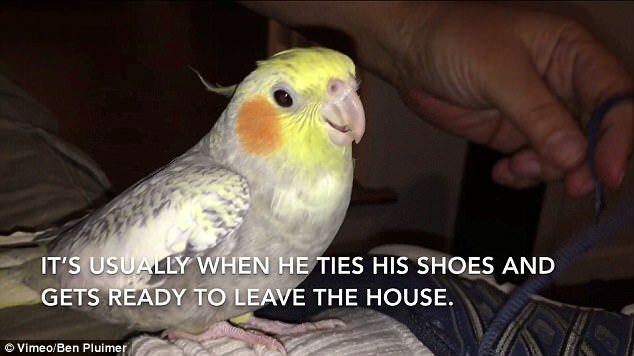 'My friend's family has a cockatiel named Lucky. Whenever Lucky gets upset, he sings an Apple ringtone,' Ben wrote in the caption for the video on YouTube. On Reddit, the post led to dozens of other users sharing stories of their own clever feathered friends.